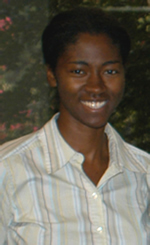 Courtney Woods is a research investigator in the Computational Biology Division at The Hamner Institutes for Health Sciences. Dr. Woods is interested in understanding how nutritional status contributes to susceptibility or protection from environmental chemical exposures. She is involved in several in vitro and in vivo studies to determine the role of antioxidant activation in chlorine and arsenic-mediated toxicity. Her primary research involves investigating transcriptional regulation by the nuclear receptor, peroxisome proliferator activated receptor alpha (PPARα) in primary human hepatocytes. The aim of the research is to develop an interactive map and computational model describing the downstream gene regulatory network for PPARα. Integrating these in vitro and in silico approaches reflects a paradigm shift in environmental health and toxicology research from high dose rodent testing of chemicals for human health risk assessment. Dr. Woods received her PhD in environmental sciences and engineering from the University of North Carolina at Chapel Hill.